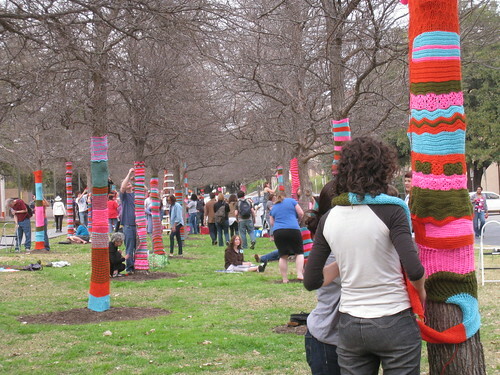 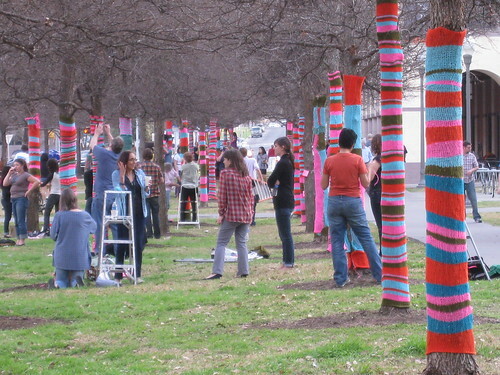 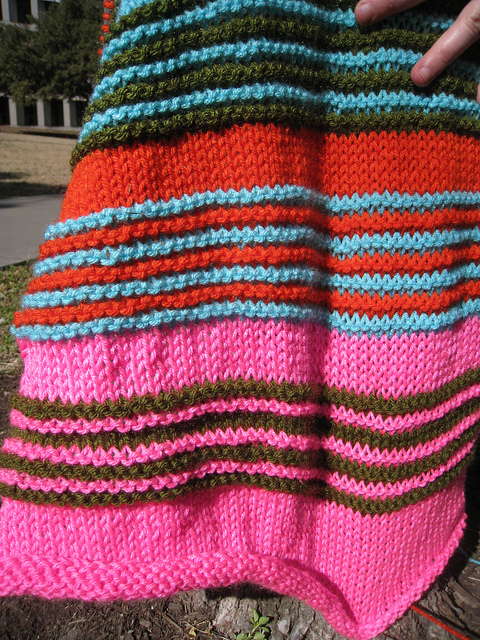 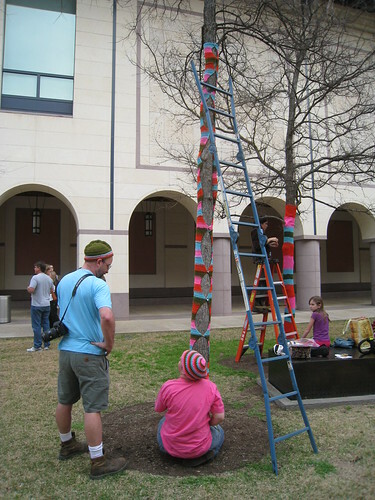 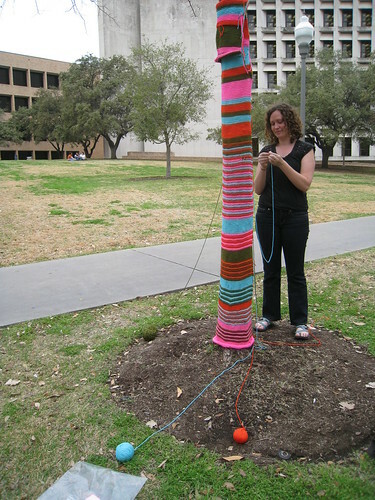 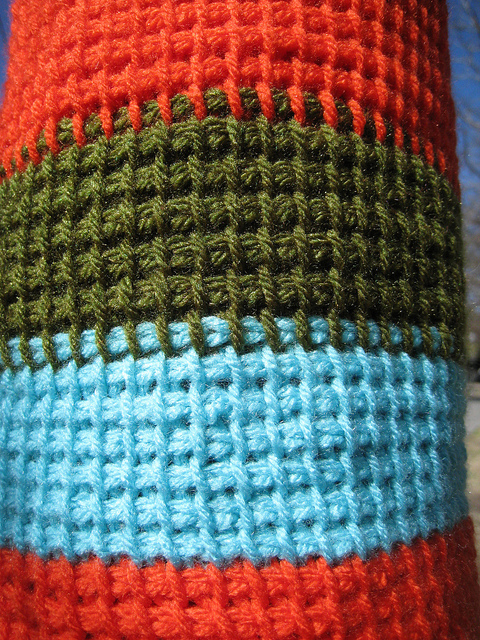 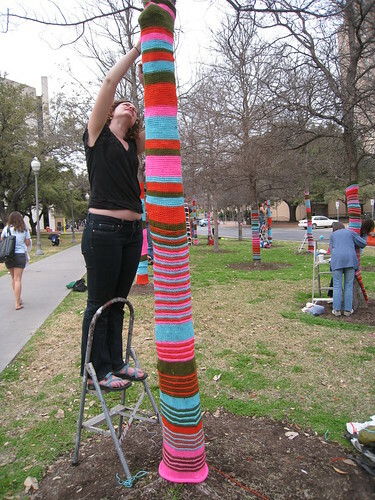 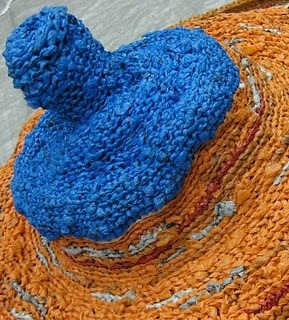 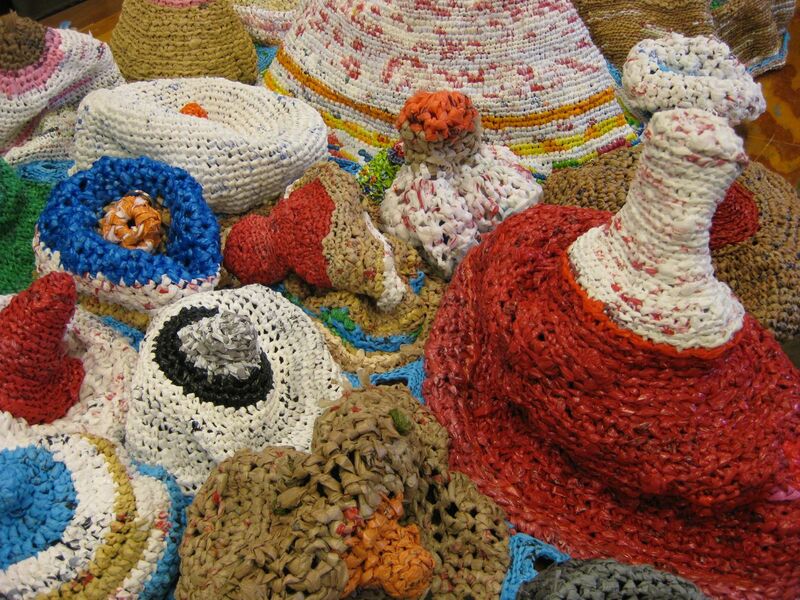 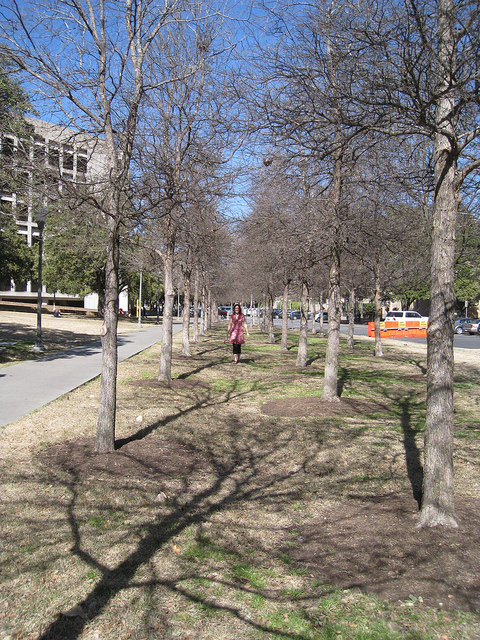 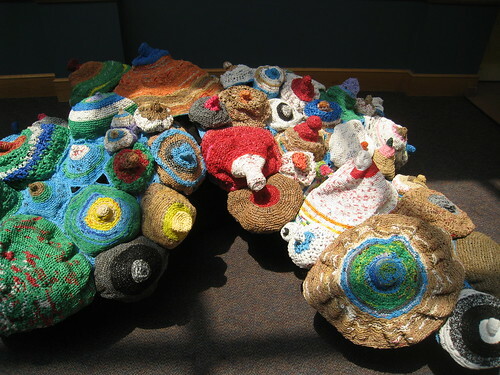 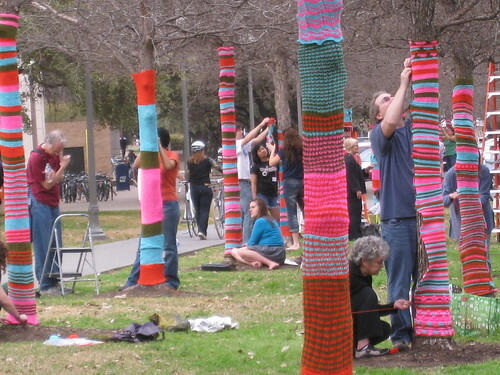 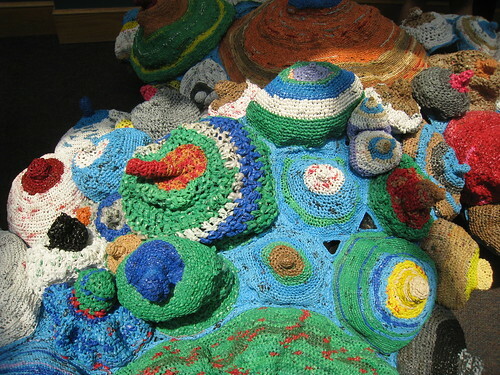 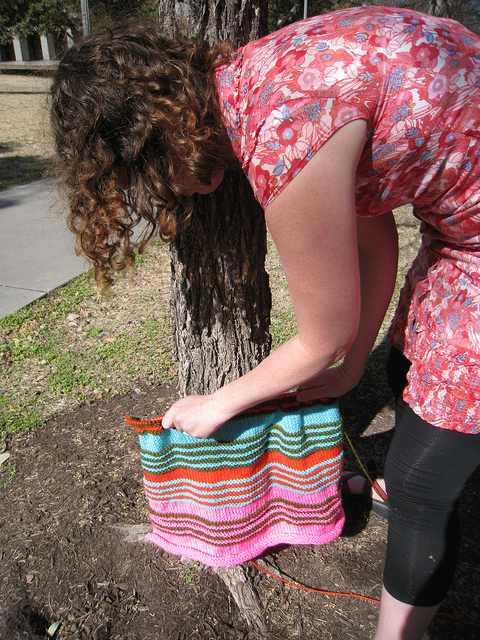 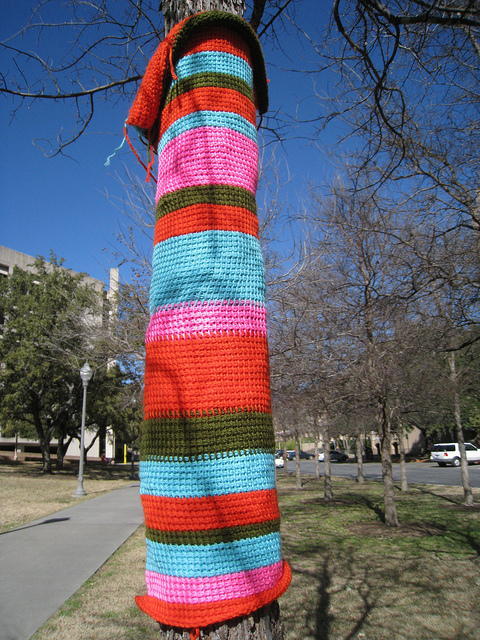 The Blanton Museum of Art (at the the University of Texas at Austin) will soon be exhibiting “Knitted Wonderland,” a knitted art project that involves knitting colorful, striped cozys for 93 trees in the Blanton courtyard. 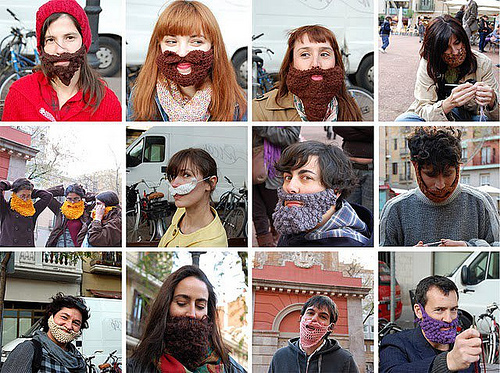 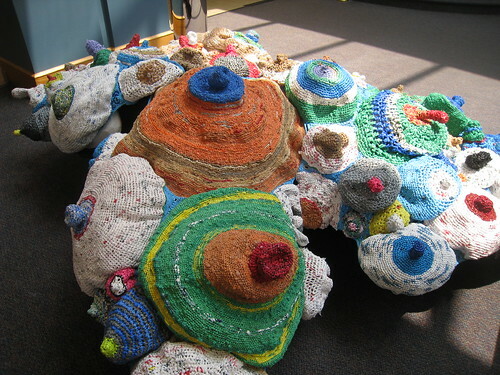 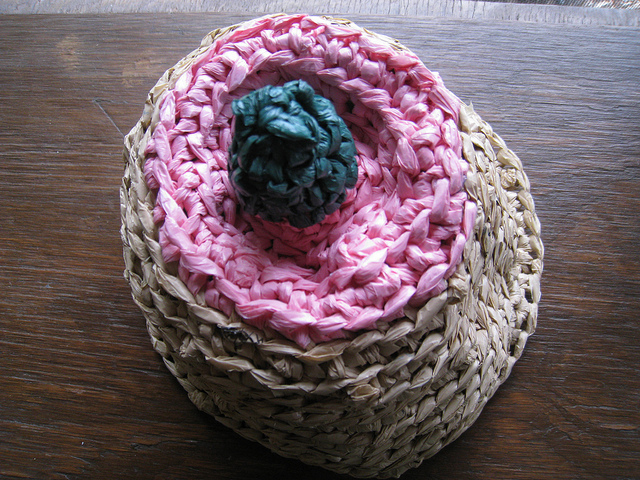 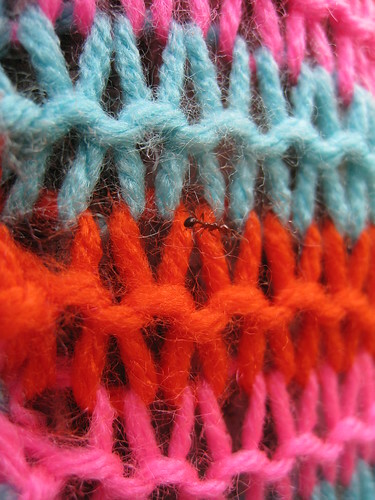 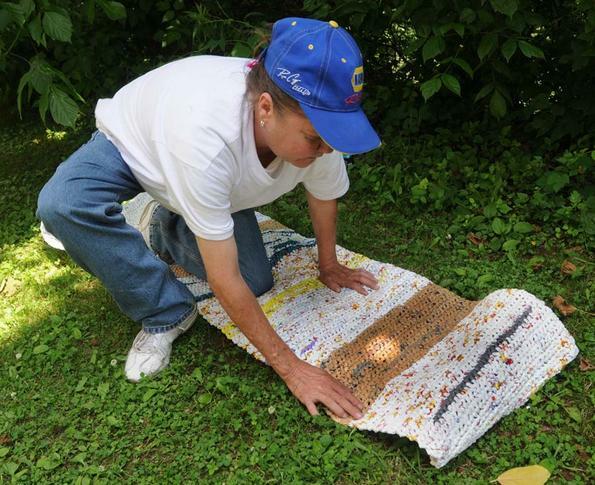 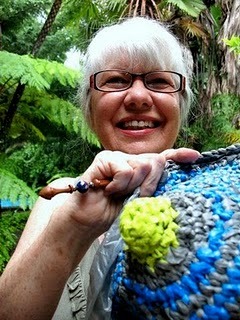 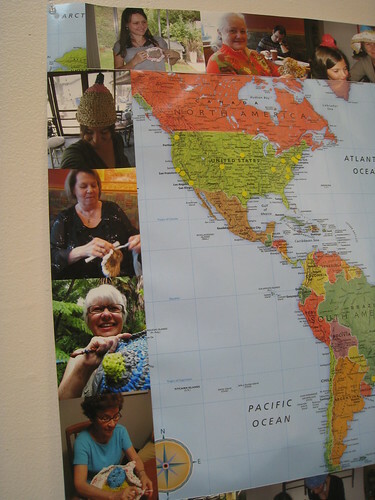 This is a community project initiated by Magda Sayeg, founder of Knitta Please. 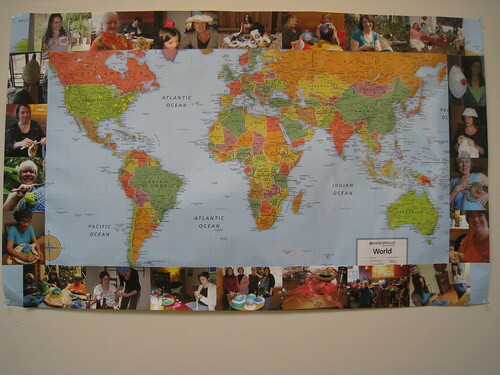 She has done some pretty cool stuff all around the world, which you can check out here. 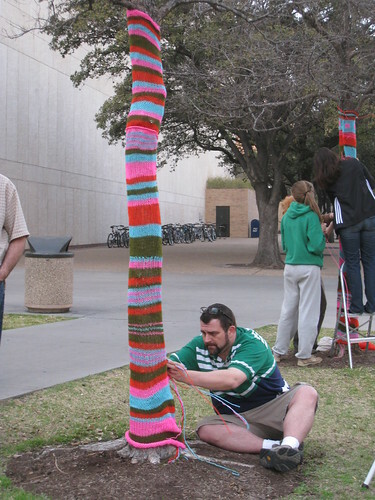 This one is probably my favorite. 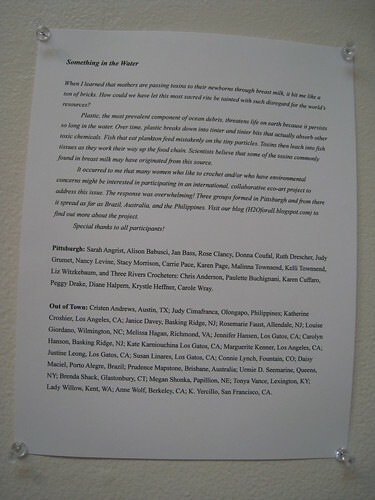 Anyway, over 100 people showed up for the initial meeting, so some of us will be working in pairs. 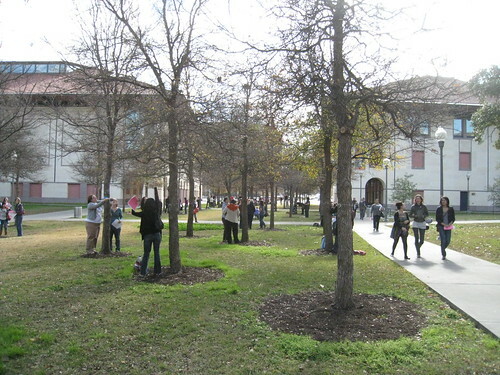 Here is a picture of everyone measuring their trees in the courtyard. 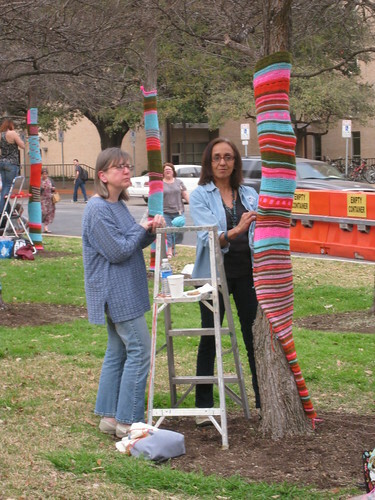 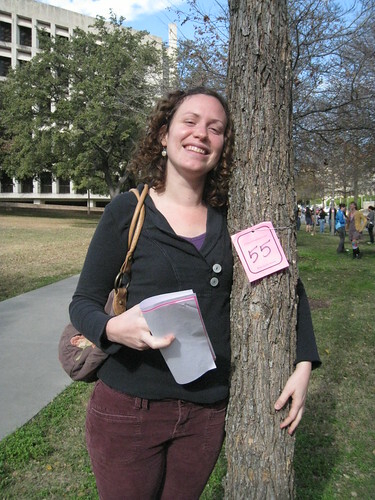 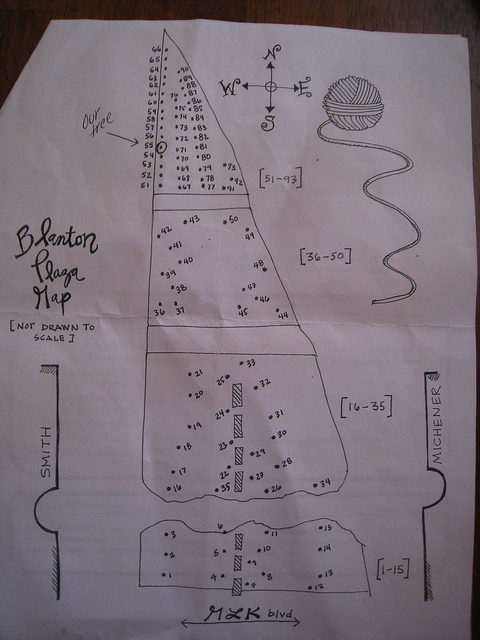 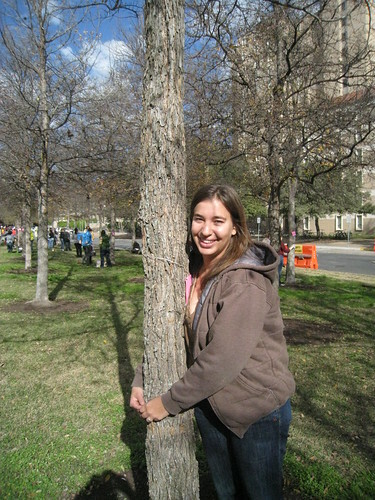 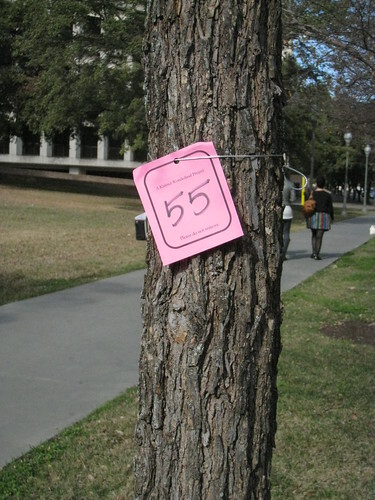 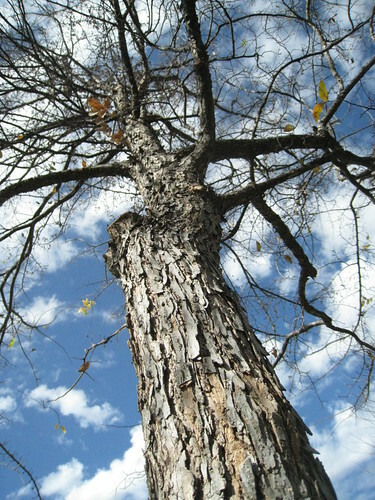 My friend and knitting buddy, Lela, and I will be working together on our tree: #55. 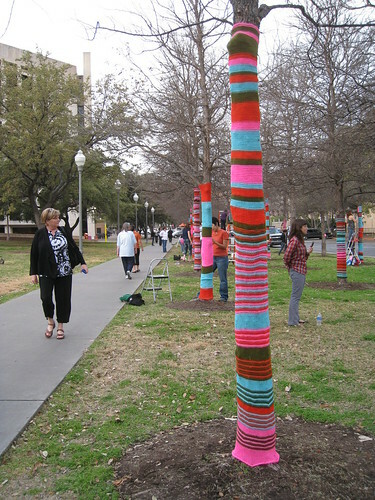 We finally acquired the yarn and will be meeting up tomorrow to start knitting! 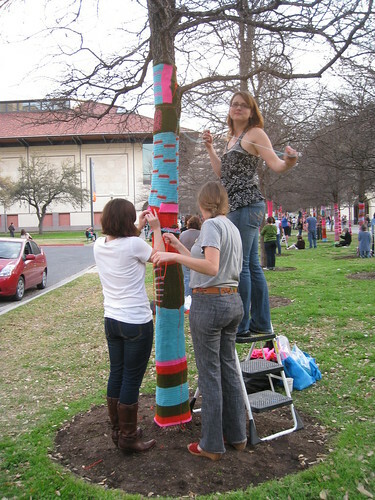 I’ll post about our progress as it develops. 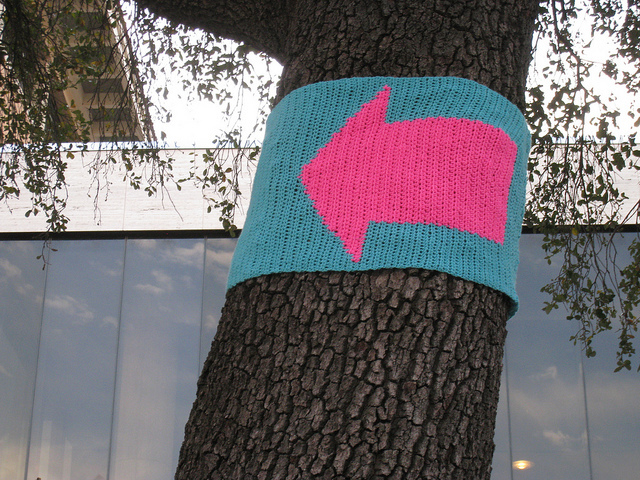 You can also stay updated on the project through the Knitted Wonderland Facebook page. 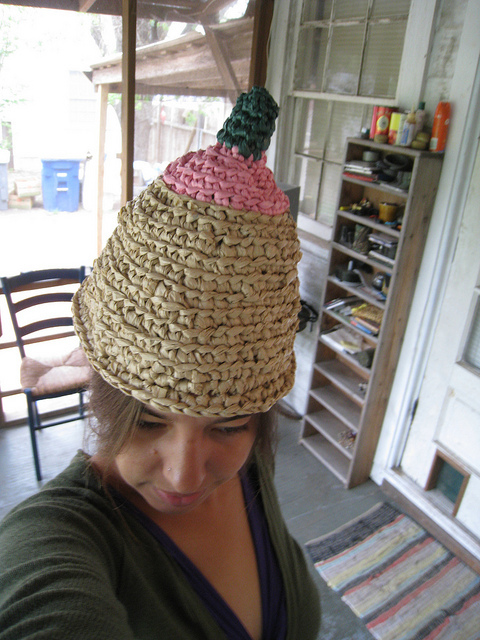 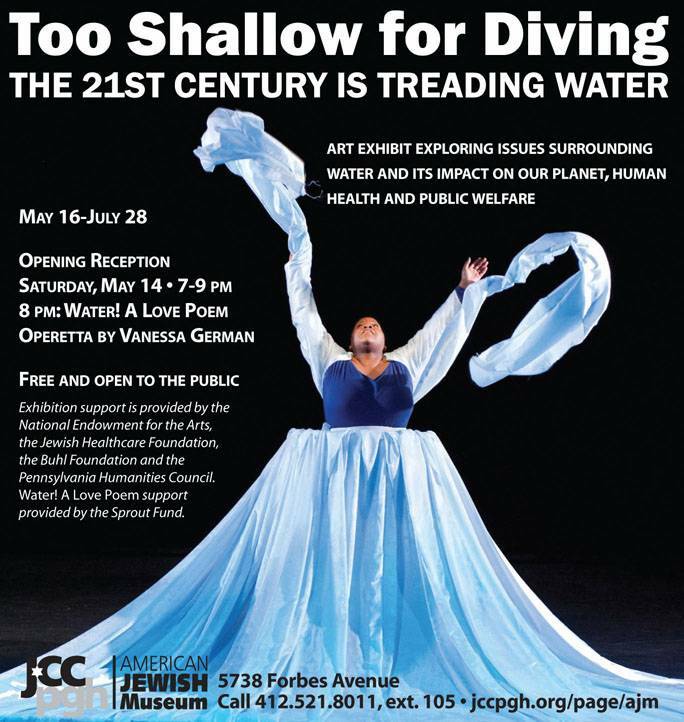 This post is a little belated, but…. 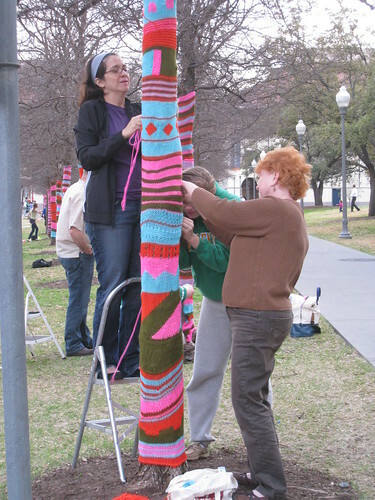 I recently participated in a Toyota Prius commercial (which basically involved knitting & crocheting around a car). 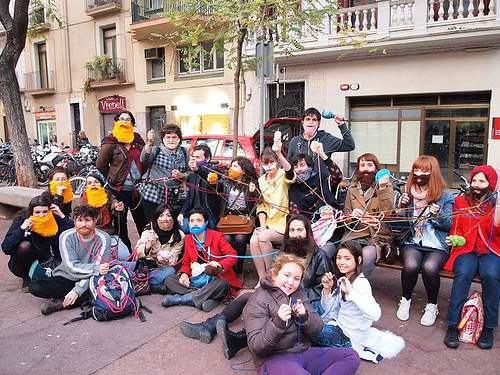 I’m the one wearing a red hoodie.